He loved life completely and soaked up every bit of it he could, as often as he could. His love of life was infectious. You just couldn't help but smile when he was around. He was a kind and loving boy who always wanted to know everyone's name. He loved zebras, elephants, "Paw Patrol," chocolate and spending time with momma, daddy and his six siblings. That day we were at a friend's BBQ at their apartment pool, and all of our kids were swimming. Judah had a puddle jumper on, because I thought it would keep him safe. After around 20 minutes of frolicking with his siblings and their friends, Judah was cold. He got out of the pool and asked for a drink and his towel. After several unsuccessful attempts to wrap him up, I decided to take his puddle jumper off of him, so I could dry him off. It was the worst mistake I ever made. Once I got him warm and wrapped up in his towel I helped him find a chair to sit in, next to me. We had all been sitting very close to the pool, watching the kids and periodically counting heads. Judah wanted my chair and he tried to push me out of it, and I remember laughing and telling him that he was being bossy. I didn't know those would be the last words he would ever hear his momma say to him. I sat him down again and began watching the pool and talking to my friend. 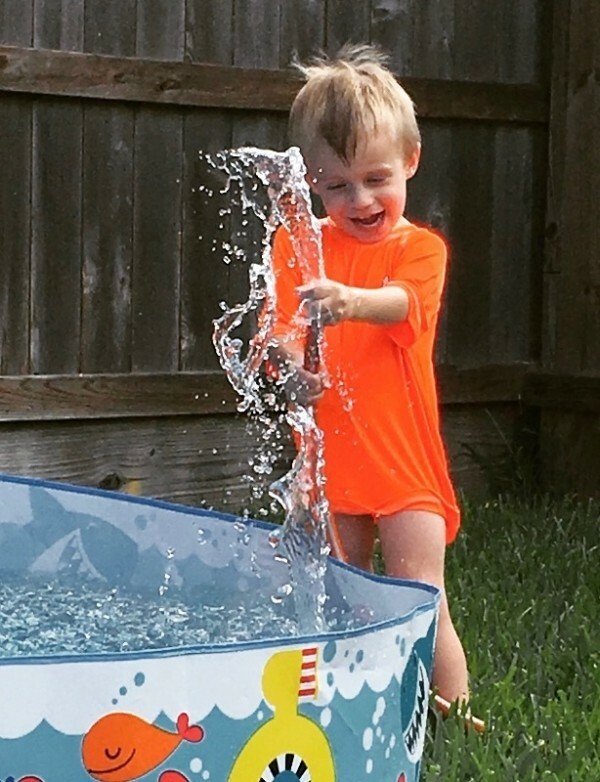 Judah somehow slipped away from of his chair without anyone seeing and got back into the pool, without his puddle jumper. It would have been only a minute or so since I had last seen him out of the pool, when we counted heads again and noticed he wasn't with me anymore. My friend and I ran around, frantically looking for him and calling his name. It was several minutes before I found him in the pool, just past the stairs – completely submerged and lifeless in the water. 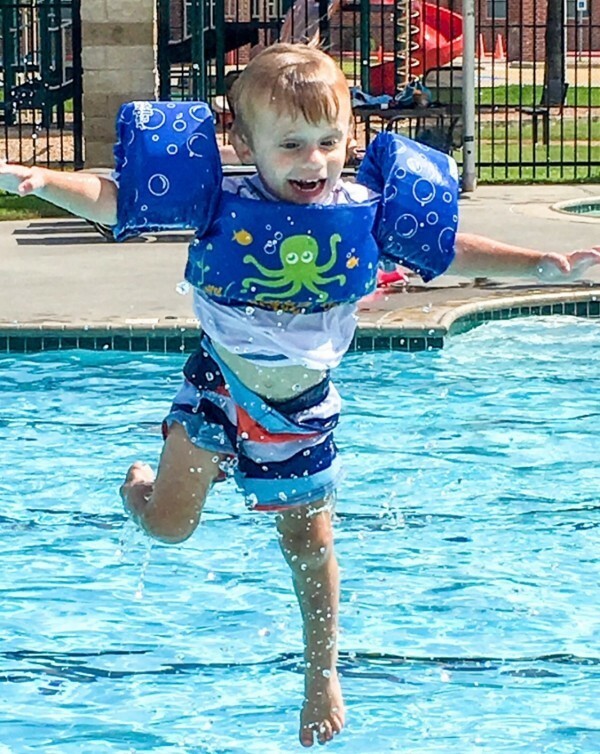 He was halfway to the bottom of the pool, which I found out much later meant that his lungs had filled almost completely with water by the time I found him. I froze. I just ... couldn't ... move. I couldn't think. All I could do was stand there, shaking uncontrollably, screaming his name. "JUDAH! NOT MY BABY ... Oh GOD, please don't take my baby ... NOT MY BABY ..."
My friend rushed past me and took him out of the water. His limp little body was patches of purple and blue. He wasn't breathing and she couldn't find a heart beat. 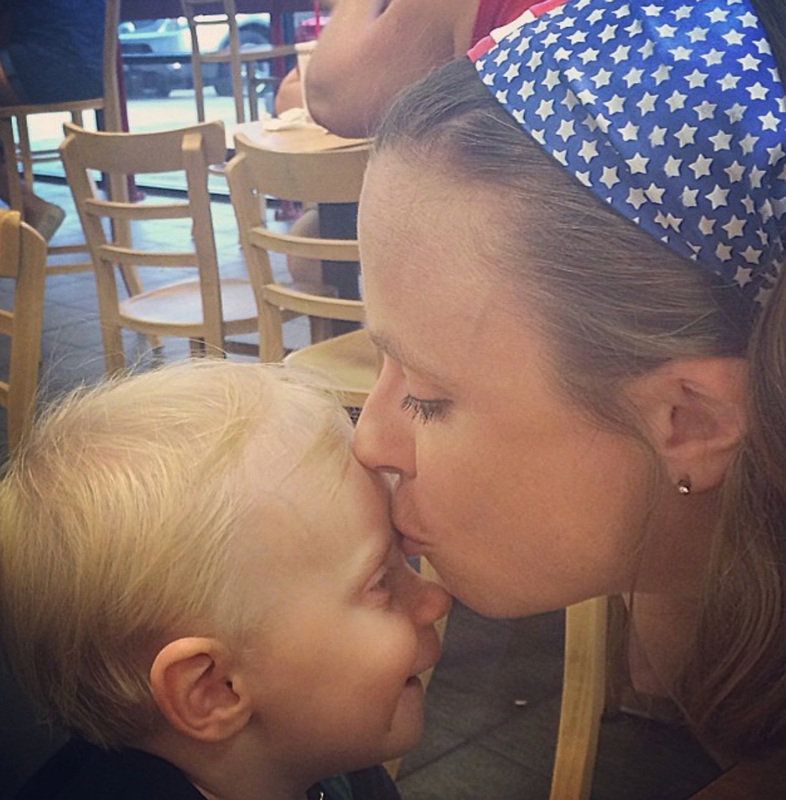 My friend called 911 while my husband and hers took turns giving Judah CPR, until the ambulance came – nine minutes later. I shrieked at them to move faster. Everything ... everyone was moving so slowly and I couldn't understand why they weren't running to save my baby. He was in cardiac arrest for, they are guessing, around 35 minutes, most of which was time they spent resuscitating him. The news from doctors wasn't good from the start. 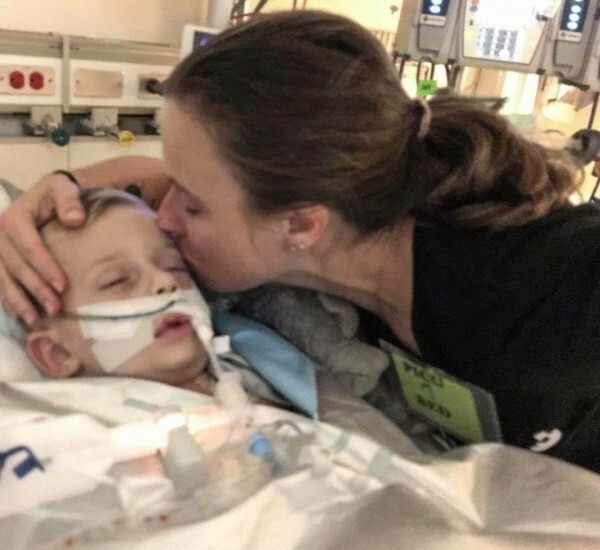 They told us that he was without oxygen to his brain for so long that he had less than a 30% chance of survival and even if he did survive, he would be severely brain damaged and dependent on machines for just about everything, for the rest of his life. All we could do was wait. So, we waited. We watched. We held each other, as we held vigil over our precious child. I held his cold hand and cried, as I begged him to move it ... just a little ... just give me a sign – anything to let me know that he was still there and ready to take on this fight. The strong little boy I knew, who climbed up my chest in the moments after his birth, had to be able to fight this. Dear God, let him fight this. All along, the doctors had seen a slight reaction in Judah's left pupil, indicating that he still had some sort of brain activity, and if there was brain activity, there was still hope. For the next day and a half, they kept seeing the reaction – and then, it was gone. All reactions were gone. The MRI's tried to confront my husband and I with the truth. Judah's brain could not withstand the damage. He was gone. 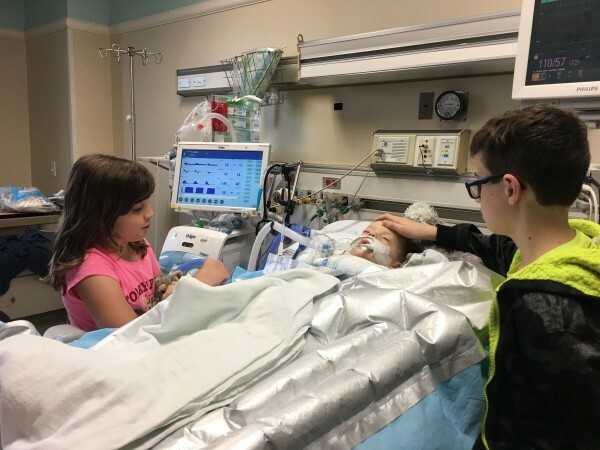 The hospital staff allowed Judah's siblings to come and see him, one last time, and then they completed their official brain death assessment. He failed it. They did another, 12 hours later, and he failed that one too. In between those assessments, they did a nuclear test, to see if any blood was flowing into his brain. There was none. Judah's doctor interrupted, to inform us that Judah had gone into cardiac arrest, but had been resuscitated again. 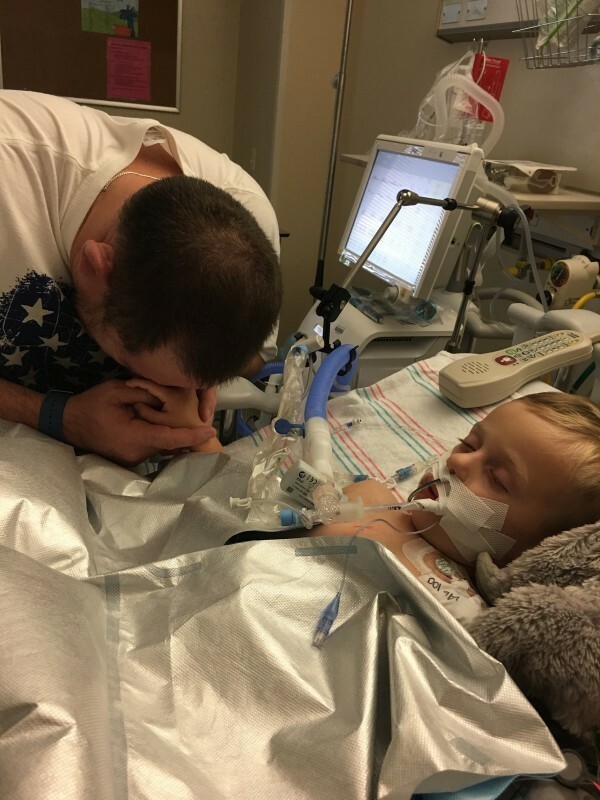 A few minutes after that, we saw a bunch of staff in Judah's room, running around, and heard one doctor yell, "This is too much for his body. I'm calling it". Judah had gone into cardiac arrest for the third and final time. His beautiful little heart just couldn't handle any more, and it gave out. 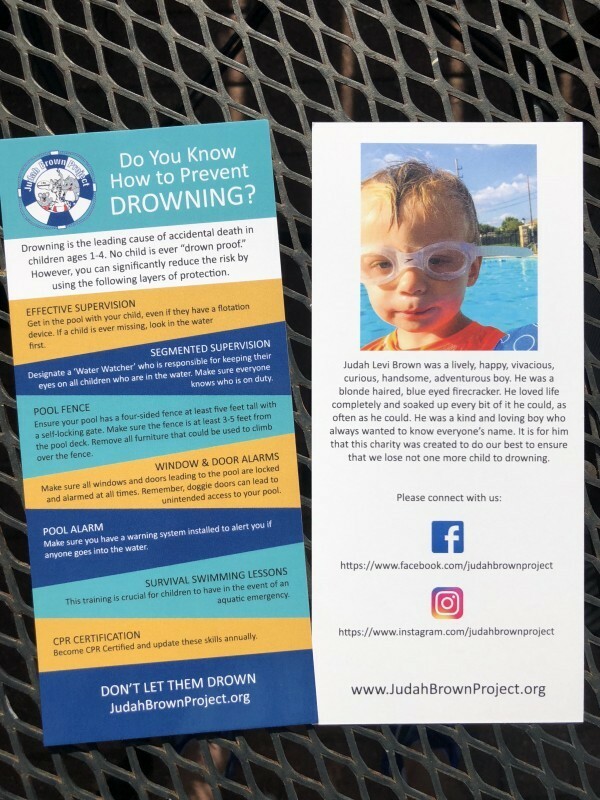 When I was sitting in the PICU, helplessly watching Judah die, I learned that drowning is the number 1 cause of accidental death in children ages 1-4. I learned that it's number 2 in ages 4-14. 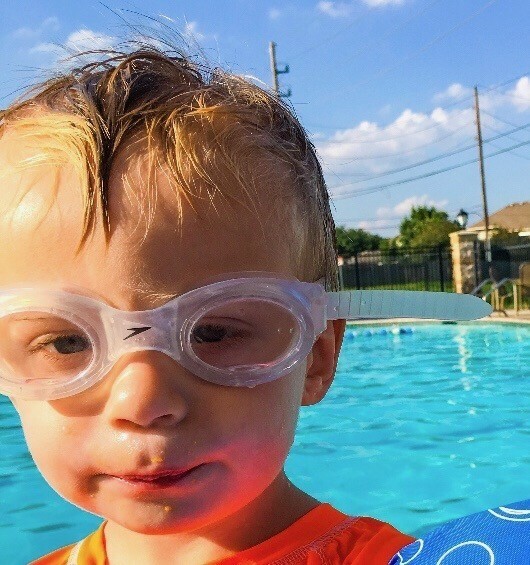 I learned that boys are 77% more likely to drown than girls – and I got angry. I got angry that the first time I was hearing these things was when my child lay dying ... becoming one of those statistics before my eyes. Why didn't I hear this from pediatricians? Preschool? Why wasn't it in any of the many parenting books I always relied on to help guide me? Mom's can't take their babies out of the hospital when they are born, unless there is a properly placed car seat in the car. We hear all about car seat safety from the time we learn we are pregnant. But drowning is 14 times more likely to be a child's cause of death than a car accident. Then I got a Facebook message from Judah's preschool teacher. She wanted to do a fundraiser for our family, to help us with the medical bills that were going to be astronomical, from all of the care Judah had needed. 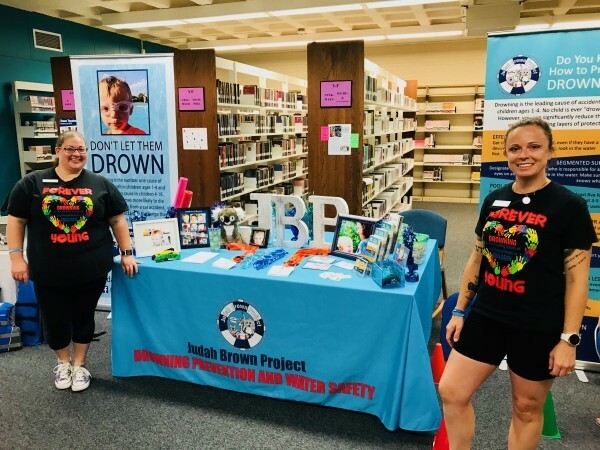 What started out as a small fundraiser, ended up blossoming into the Judah Brown Project. His teacher took the helm and built a foundation for our little boy, when we just didn't have the strength to do it ourselves. I told her I needed other parents not to go through the hell I live each day. I told her I wanted pediatricians to have and give the information they needed, to keep the children they see safe around water. I told her I wanted the first points of contact-pediatricians, teachers, caregivers, and parents to know how quickly and easily drowning can happen and I wanted this message spread as far as it possibly could be. 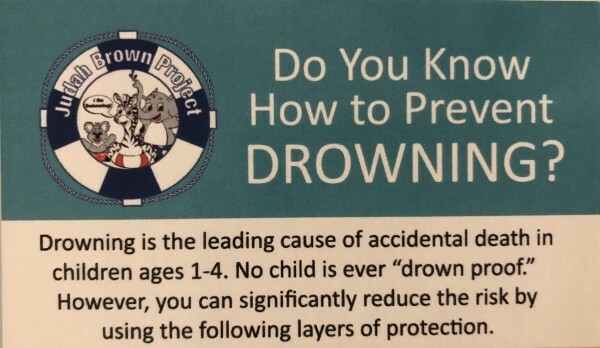 We now go into schools, libraries, people's homes, doctor's offices ... anywhere we can, to provide training to children and also to caregivers and professionals, on what drowning looks like, how easily and quickly it can happen and how to keep children safer around the water. We attend children's festivals, expos and events, to tell our story and reach more families with our message. No one knows that puddle jumpers give kids a false sense of security. They don't know that children under the age of five can not comprehend that it is the puddle jumper that keeps them floating, and not their own ability. The puddle jumper makes them brave and unafraid to walk into the water without it on. I did not know these things. Most people don't know these things. Judah Brown Project exists to change that. 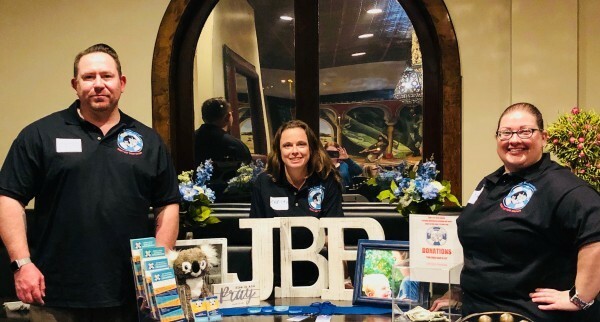 We exist to save little lives, by carrying Judah's story and planting his legacy in the hearts of children and their parents, as far as we can possibly reach. I am a mom of 7 kids (one in Heaven). I am a writer and a water safety advocate. 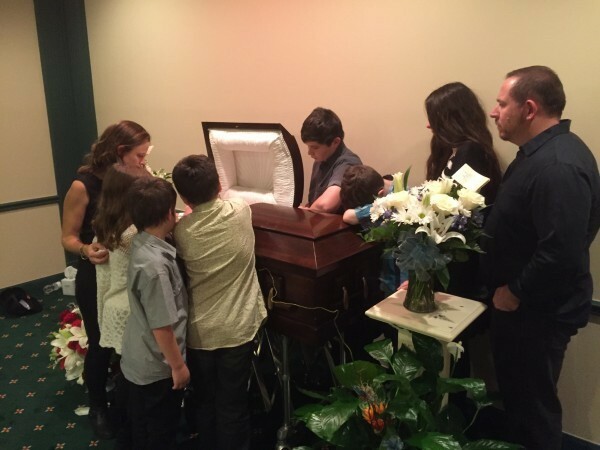 Since the death of my son, I have been determined to help kids and their parents not to have to live the loss I live every day.